American Wagyu beef, from Japanese cattle stock, raised without antibiotics or hormones, on a strict diet to encourage natural marbling, then graded with the Japanese BMS system. Our ranchers create a low-stress environment for the cattle and closely monitor them at every stage of growth. Cooking Tips: Our wagyu ribeye steaks have so much flavor, they don’t need much more than coarse salt, freshly cracked pepper, and, if you like, a little compound butter - either basted while cooking or on top of the steak while resting. 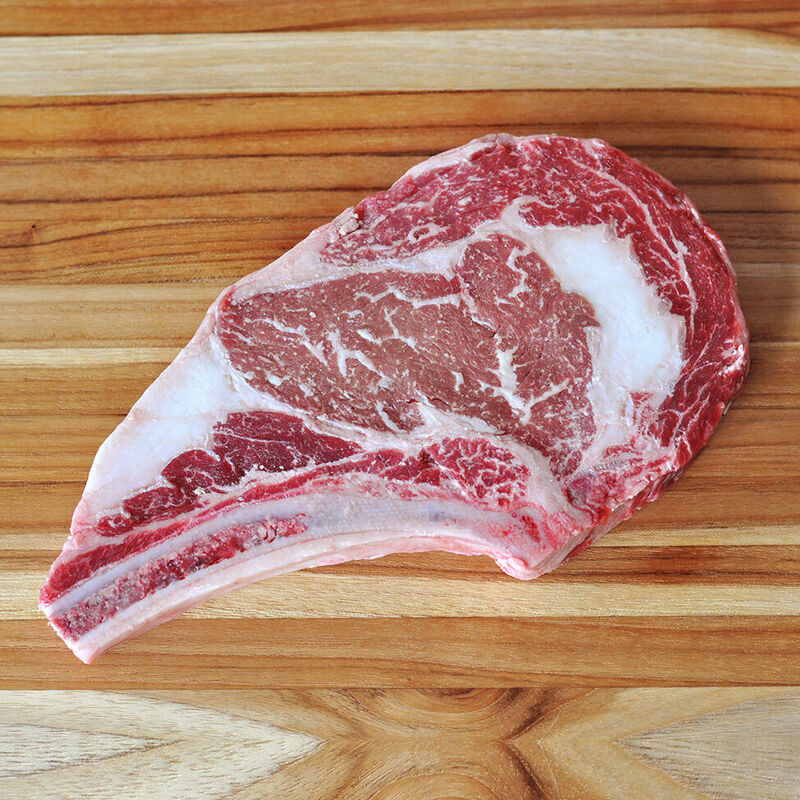 It’s best to cook these steaks hot and fast so the marbling softens but doesn’t render out. A finished temperature of medium-rare is preferred. Always rest steaks before serving.